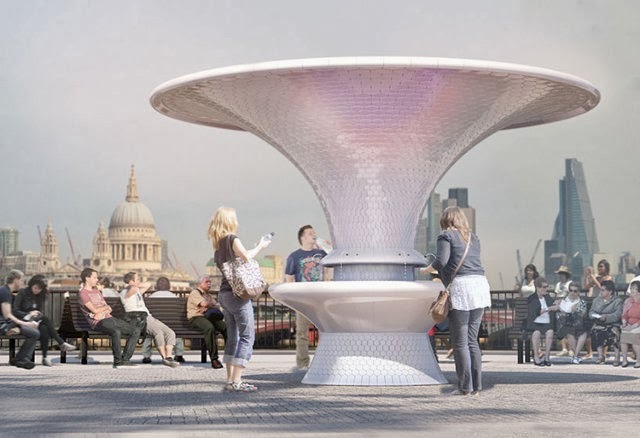 Architect's Journal and Turkish Ceramics co-sponsored a drinking fountain competition for the city of London, attempting to wean people off of bottled water. Six invited architecture firms (including Zaha Hadid's firm) designed gorgeous fountains using turkish tiles and Ottoman public fountains as a jumping off point. StudioWeave fountain design, visible from afar. This competition comes on the heels of the Tiffany and Co. drinking fountain Competition for royal parks in London, yielding the new Trumpet Fountains. 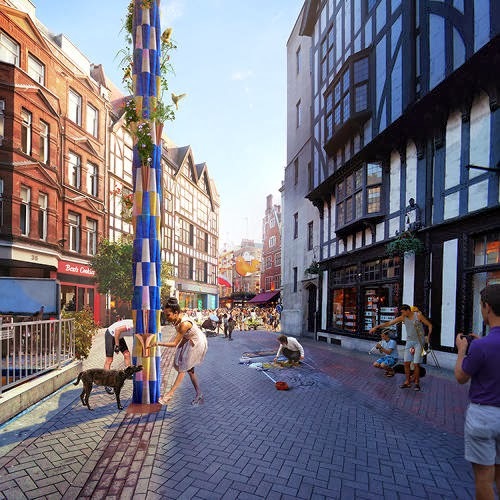 Drinking fountains are getting some great architecture and publicity in London these days, harkening back to the glory days of the Metropolitan Drinking Fountain and Cattle Trough Association, founded in 1859. The Association built 140 drinking fountains and 153 cattle troughs in 11 years, combatting disease from filthy river water and inhumane treatment of cows and horses working in the city. These new pushes for drinking fountains are attempts to combat different problems for a different age, but the need for free and high-quality water in urban settings remains the same. The first drinking fountain built by the Metropolitan Drinking Fountain and Cattle Trough Association in London. 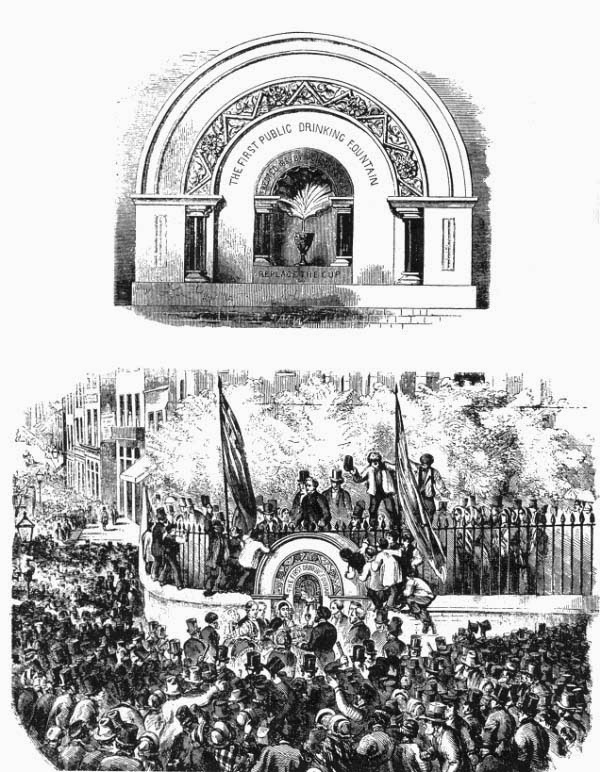 Opening to "scenes of public rejoicing," it was soon serving more than 7,000 people per day. I have been looking for a revolutionary fountain for my home. I would like one that really makes my home look exotic. I have a lot of exotic plants, maybe I can find one that exemplifies those plants.